The Manager is… a Woman! Things are changing rapidly in France. Even though the French woman has, for years been held up as one of the best examples of the liberated lady, the facts on the ground never seemed to back it up. French women only got the right to vote at the end of the Second World War. Twenty years ago, the percentage of women in the national parliament was so low that the only other European national executive that rivalled it was that of Greece. Today, however, the change is stark. The current government has a slew of bright and confident female ministers (including the current minister for sport Najat Belkacem), Paris has a female mayor and now a professional football club in France has made an historic breakthrough by appointing a woman as the manager of its all-male team. 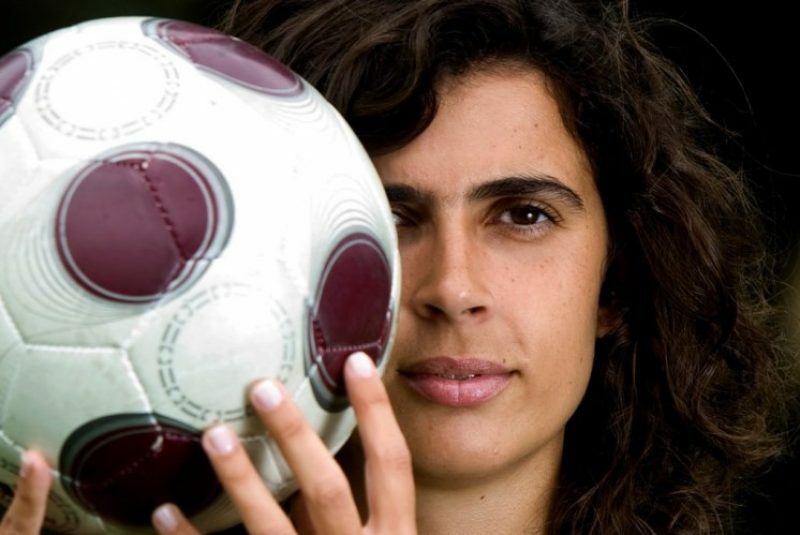 The Portugese coach chosen to lead 2nd division side Clermont Foot 63 to glory for the coming season is Ms Helena Costa. The club issued a statement on Wednesday confirming the appointment of the 36-year-old, starting with the 2014/15 season. This news comes just three months after the first appointment of a woman as team manager to a French first-division professional Olympic handball team (in the form of Romanian Elena Groposila at Dijon) and six months after the appointment of a woman to a French male professional rugby team (Audrey Zitter at ’13-a-side’ rugby team Diables Rouges de Montpellier). The governing body of French soccer La Fédération Française de Football (FFF) has said that this is the first time in France that a woman has been appointed to manage an all-male professional football team. “Clermont Foot 63 has chosen its new manager in the person of Helena Costa, a 36-year-old Portuguese national,” confirmed the club on its internet site. “Helena Costa comes from the Benfica academy, having also managed the female sides of Odivelas, then the national squads of Qatar and Iran, as well as working with Celtic Football Club as a recruitment officer,” the club confirmed. “This nomination will allow Clermont Foot 63 to enter a new era, making use of a group of 17 current players under contract, to which will be added young players from the Club,” the Clermont Foot press statement continued. Clermont Foot 63 are based in Clermont-Ferrand and are currently lying in 14th place out of 20 teams in the French second flight, but looking unlikely to drop to the third division before the end of the season in a few weeks. Although officially formed as recently as 1990, the Clermont-Ferrand club has roots that go back to 1942. Having started at the top, they languished in the amateur levels for a number of seasons before breaking through into the professional game in the late 1990s in an era that included a memorable giant-slaying match in 1997 when they came from 4-1 down to overcome the mighty PSG in the French Cup pre-quarter-final. In recent seasons, they have come tantalisingly close to breaking into the top flight. Technical Director at the club Olivier Chanon expressed surprise at the choice in an interview with L’Equipe magazine, but was confident in the choice of 65-year-old club president Claude Michy. Besides, Helena Costa isn’t just any lady. During her training with Lisbon FA, she finished first out of a field of 120 candidates. A special lady, no doubt and Clermont Foot 63 will be hoping that she will be the “special one” to lead them into the French top flight next season. Next Next post: Eeengleesh Please!